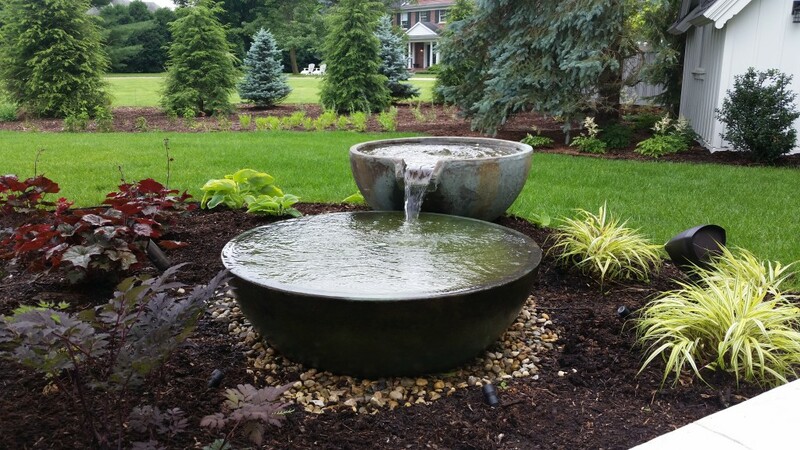 The Aquascape Spillway Bowls are the perfect companion to your existing landscape, or even your existing pond. Recently we installed an Aquascape Spillway Bowl in Kalamazoo Michigan. These clients had come to us in early 2014 for a complete back and front yard remodel. So knowing the great work that was done on their property, they wanted more. Since we had already over hauled their whole back and front yard, the goal was a bit different. 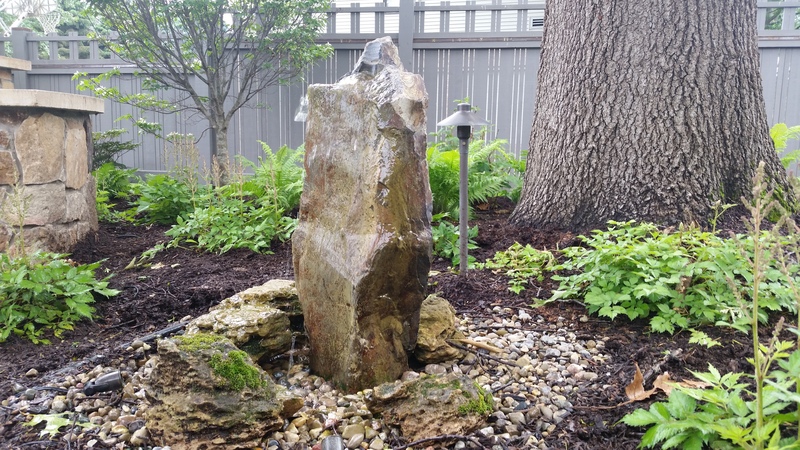 The previous year we installed a basalt water feature column, which was closer to the outdoor fireplace. The goal here was to include a smaller water feature near the new back patio, one they could entertain by, and one that the grand children could play by. There was one particular challenge to this Aquascape Spillway Bowl in Kalamazoo. See…this house was going to be featured in the Kalamazoo Parade of Homes, for our landscape from the previous year. We had a tight deadline to meet, and the Aquascape Spillway Bowls had just come out and were in high demand. Luckily, the Aquascape Spillway Bowls came just in time to be installed prior to the Kalamazoo Parade of Homes. We installed the Aquascape Spillway Bowl in Kalamazoo and added some lighting and plants around the feature as well. All together it took about a full day to complete everything and cost around $5000.